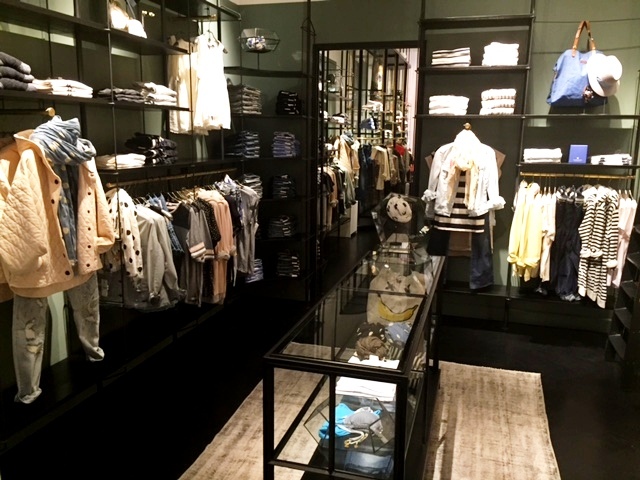 Amsterdam’s fashion brand Scotch & Soda opened the doors of their first BC location at Richmond Centre, making this the fourth stand-alone store in Canada. The space provides an intimate shopping experience and offers a curated selection from the original Scotch & Soda menswear line, Maison Scotch line for women, and Amsterdams Blauw denim collection for men and women. Denim is on trend for spring/summer so Amsterdams Blauw men’s and women’s range of jeans, jackets, shirts, tops, dresses and accessories provides another option for shoppers. At the new location, customers can expect carefully crafted displays, ambient lighting, and an eclectic aesthetic that weaves together Scotch & Soda’s Amsterdam roots with its world travelling spirit. The brand endeavours to relate and translate into fabric and fashion that which discoverers and collectors do, scouring the globe for that painting, poem, vintage piece, ruin, or artifact that sparks its never-ending curiosity. Treasures uncovered on worldly wanders are poured into signature looks that clash eras, classics, places of inspiration, meshing unexpected fabrics and patterns. Scotch & Soda has over 150 stores world wide, and can be found in over 8,000 stores including the best global department stores & independents.